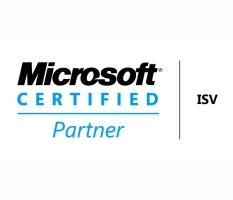 Microsoft values integrity, honesty, openness, personal excellence, constructive self-criticism, continual self-improvement, mutual respect ,and is also are committed to customers and partners and have a passion for technology. Microsoft take on big challenges, and pride themselves on seeing them through. She hold itself accountable to their customers, shareholders, partners, and employees by honoring her commitments, providing results, and striving for the highest quality. 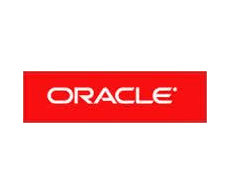 Oracle offers an optimized and fully integrated stack of business hardware and software systems. Oracle engineers hardware and software to work together in the cloud and in your data center–from servers and storage, to database and middleware, through applications. Oracle systems: Provide better performance, reliability, security, and flexibility; Lower the cost and complexity of IT implementation and management; Deliver greater productivity, agility, and better business intelligence. BITS CONSULT is an information technology establishment with several years of experience with a burning passion to raise the business standard of organizations to the world standard through their wealth of IT knowledge. She is poised to offer solution that assist customers in achieving optimal satisfaction with respect to meeting their target business goals. Solutions includes setting up of , remote office and branch office (ROBO)network, large and enterprise networks, client support and maintenance programs, wireless solution, and many more. This represents an opportunity for your organisation to introduce us to your evaluated client who has need of any of our solutions. This represents opportunities for your organisation to become our accredited solution sales and implementation agents on a continuous basis. As a consulting or business management outfit, we can process the payroll of clients on a periodic basis on your behalf and effect payment electronically.